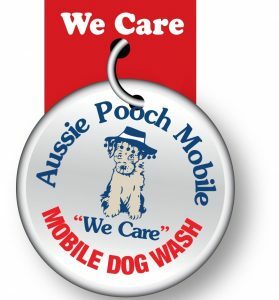 FAQ’s about Franchising with the award winning Aussie Pooch Mobile Dog Wash and Grooming franchise system. Below are some of the more frequently asked questions we respond to regularly. If you would like to know more about Franchising with Aussie Pooch Mobile or need additional help, please use our CONTACT US page to speak with our Sales Manager. What’s included in the initial Aussie Pooch Mobile franchise package? Certificate III and IV in Dog Grooming also available for Franchisees interested in offering a Clipping service. Once you are fully trained and ready to start in your business you will have a local Support Manager to help guide you through the first 10 weeks and beyond with regular support visits, weekly feedback, Operator Support Forum, regional meetings and an annual national conference. You will also receive ongoing national advertising and you will have access to all the support office staff and secure website. I’m still not sure but I am wanting to find out more? Will I be suited to running my own Aussie Pooch Mobile franchise? Do I enjoy being outdoors? Do I have an outgoing personality? Am I prepared to follow a proven system? What guarantees do I have that I will be successful? 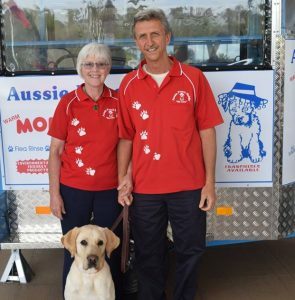 Aussie Pooch Mobile has a proven track record of franchisee success over 26 years. We know what it takes to grow a successful business but ultimately it is up to the franchisee to have a great attitude and follow the system. We have never had a franchisee follow the system and not succeed. With over 26 years’ experience we have proven corporate advertising strategies that are ongoing and have enabled us to generally dominate the front page of google where most customers search for our service. In “New” franchise territories we also do a Local Area Advertising Launch campaign. The is also an expectation that you will actively market your area following our proven marketing strategies. Do you help with Finance? What if I can’t finance all of the franchise? Having a mobile business, as opposed to an actual premises, gives the franchisee the flexibility to work the days and hours they want, and also to be able to take holidays. Our mobile unit gives the franchisee the ability to promote their business throughout the territory. Not having staff members or premises also helps reduce running costs. Yes, our franchisees have exclusivity to their territory. What does a new Aussie Pooch Mobile franchise cost? We have various new franchise packages ranging from $15,000 to $40,900, and existing franchises are also available. Do franchisees have access to the franchisor’s buying power? Yes our franchisees have access to our exclusive range of products and marketing materials at reduced prices thanks to our bulk buying. What are some benefits of the franchise? Full training, including government-recognised certificate courses.